A data model is an abstraction process the hides superfluous details while highlighting details pertinent to the application at hand. a data mode is a mechanism that provides the abstraction for the database. The Hierarchical model is the oldest of the three record-based data models. The Hierarchical models uses the tree as its basic structure. A tree is a data structure that consists of a hierarchy of nodes, with a single node called the root node at the highest level.A node may have any number of children, but each child node have only one parent node in which it dependent. The parent to child relationship in a tree is thus one –to- many relationship. But the child to parent is one to one relationship. Parent child relationship are shown by drawing a line or edge between the parent and the child. A node that has no child is called the leaf node. Nodes that are the children of same node is called sibling. For any node, there is a single path called the Hierarchical path from the root to child node. Deletion: if we want to remove the parent node then the child node also have to be removed so deletion is difficult. Insertion:we can’t insert the child node there is not available the parent of that node. So insertion is difficult. Updation: updation is also a time consuming process. Hence we can say that this model has the problem in insertion , deletion and updation. 1.Performance is better than relational model. 2.Continues to be widely used. 3.Some problem lend themselves to this model. 1.Difficult to access the values at lower levels. 2.This model may not be flexible enough to accommodate the dynamic needs of an origination. 3.Deletion of parent node result in the forceful deletion of child node . 4.Extra space is required for storage of the pointer. The network model uses the network or plex structure as its basic data structure. A network is a directed graph consisting of nodes connected by links or directed arcs. 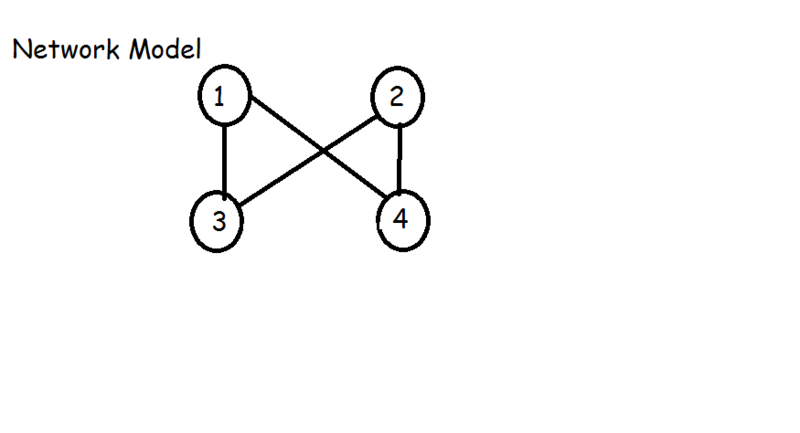 The nodes correspond to record types and the link to pointers. The network data structure looks like a tree structure , expect that a dependent node called child node may have more than one parent node. A network data base consist of any number of named record types whose structure are complete described in the schema. A record consist of any number of data item or fields. A data item is the smallest unit of data. each data item correspond to an attribute and the record correspond to an entity. The model item to be grouped with in record. Insertion: in this model it is clear to add new record is easy only connect the arc to the newly added record. Deletion: Deletion operation is very simple. Only link is to be removed. So no information is lost. Updation : easily update the record by changing the arcs. 4.This model can be applied to many real-world problems that require, routine transitions. 1.Complex to design and develop. 2.It requires that the relationship among all data elements be defined before development starts, and changes often demand a major programming efforts. 3.Extra memory is required for the storage for pointers. The relational model is based on the concept of a relation, which is physically represented as a table. In this model tables are used to hold information about the object to be represented in the data base. A relation is represented as two dimensional tables in which the rows of the table correspond to individual record and the columns to attributes. Insertion:adding or inserting the new record is very easy. because no any parent-child concept is used. Deletion: Deletion is also very easy. Because deletion a particular row is possible. 2.Provides excellent support for adhoc queries. 3.Security control and authorization can be implemented more easily. 1.For large database , the performance in responding to queries is definitely degraded.